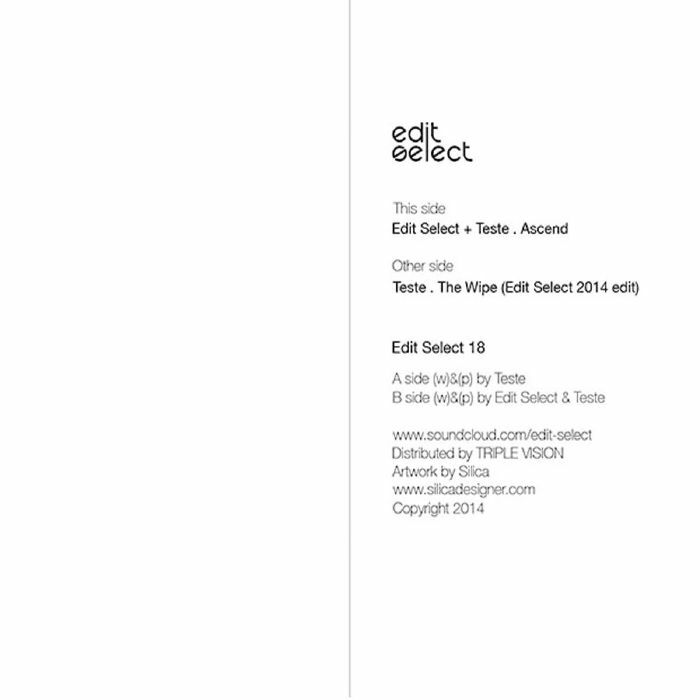 TESTE/EDIT SELECT The Wipe vinyl at Juno Records. 1. Edit Select & Teste - "Ascend"
Teste are back, but not without reminding us why they are so revered. 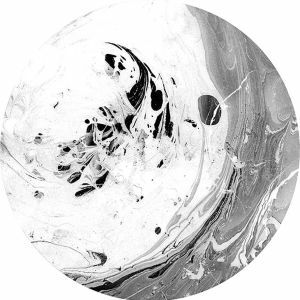 Their track "The Wipe, originally released in 1992, is often credited as a forbearer to a style of techno described as bassline driven, and a style long championed by Munich label Prologue. So before Teste release any new music, Edit Select has extended their famous cut so the wormhole experience of "The Wipe" can last all the more longer. The real treat though is "Ascender", a brand new production between Teste and Edit Select which is similar to "The Wipe" only it swaps foreboding sounds for something lighter and the results are transcendental.